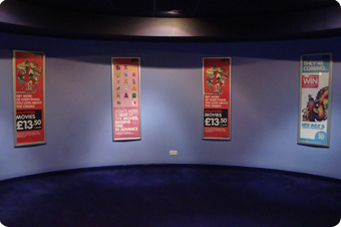 National Film Transport can carry out an audit of your sites to document the full advertising potential of each cinema. Typically this would include drawings of the site, position and photos of poster and other advertising media , assesment of overall condition and recomendations for charges and effectiveness. This audit would form the foundation from which a remerchandising programme could be agreed.